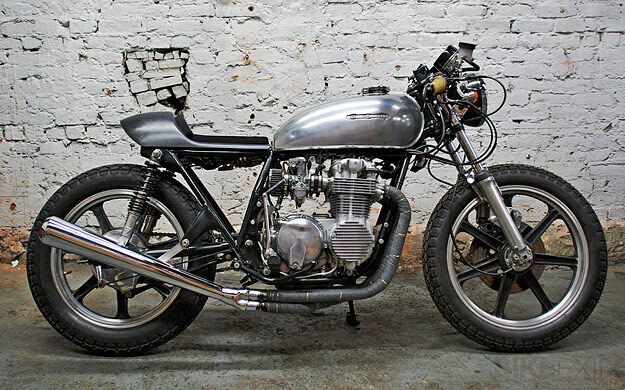 I’ve always thought the CB550 is a better deal than its bigger and more famous brother, the CB750. 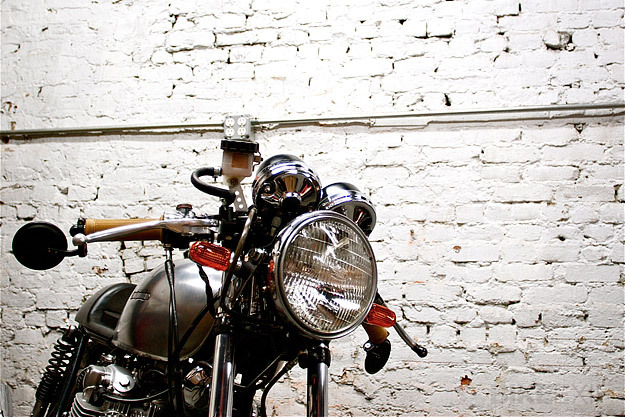 A stock 550 is considerably lighter, only slightly less powerful, and has better handling. With a wet sump system, there’s no oil tank to clutter things up, and it’s easy to move the electrics to the back of the seat unit and get rid of the side covers. 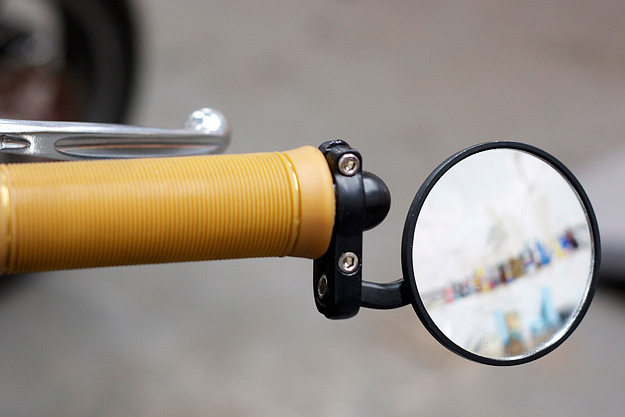 The bike has something of a chequered history: Browning got hit by a taxi, repaired the CB, then got home one day to find it smashed again—this time in front of his apartment, by an overzealous parallel parker. 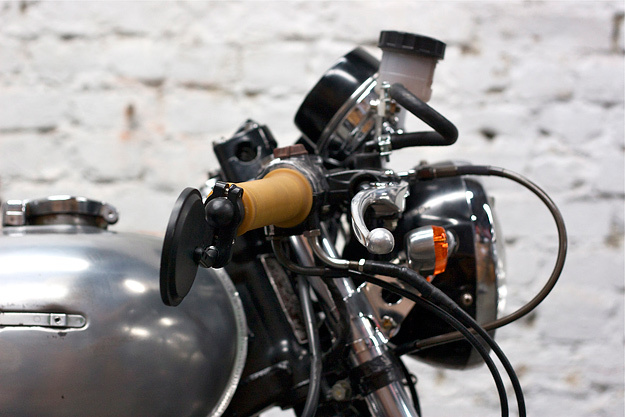 “So I decided to take the wreck upstairs, and got into sourcing parts and rebuilding her. 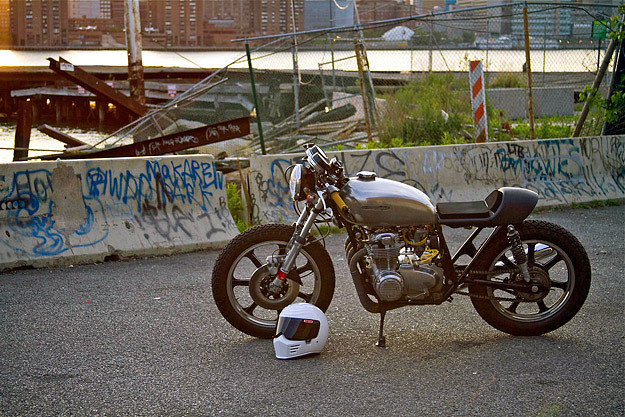 The whole bike was revamped on a modest budget in an 8×8 foot corner of my apartment with some basic hand tools.” It’s a lovely first effort—clean and simple and playing to the Honda’s aesthetic strengths. Check the E3MC website for more custom builds.